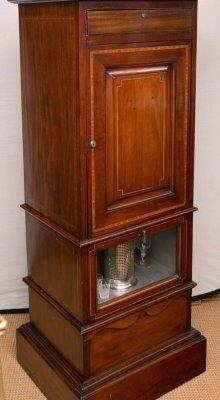 A tall, obelisk form dry bar. 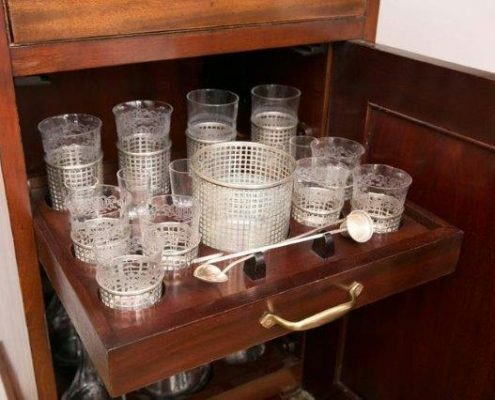 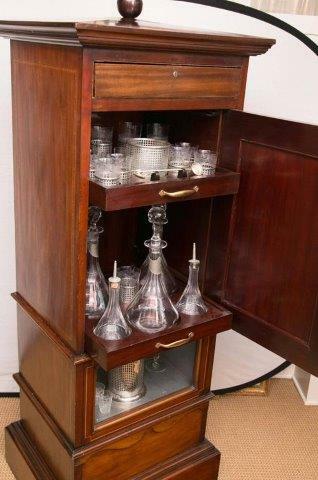 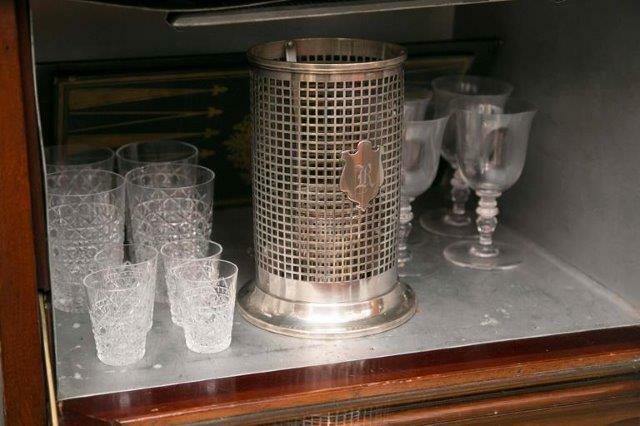 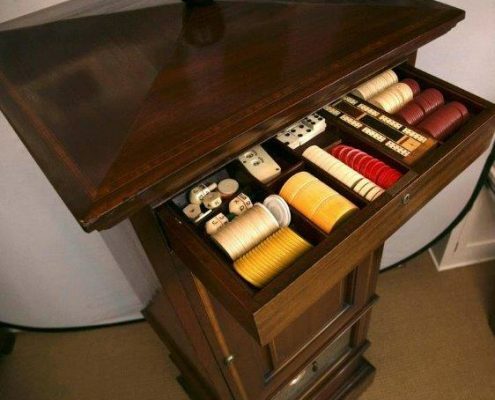 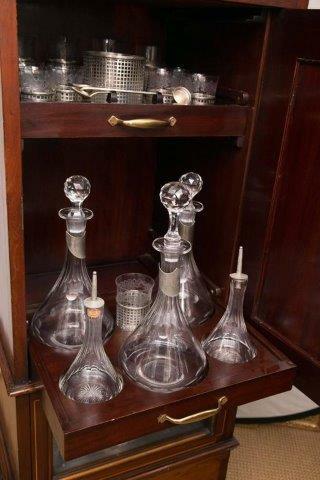 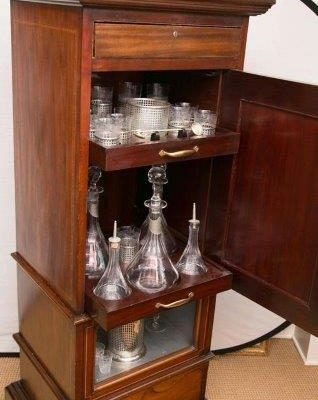 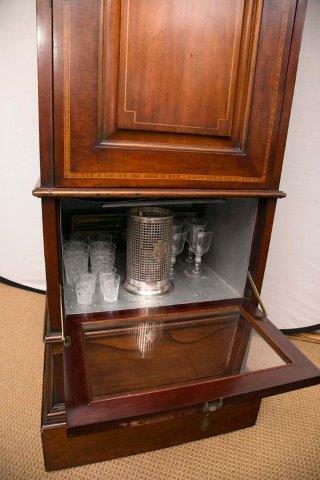 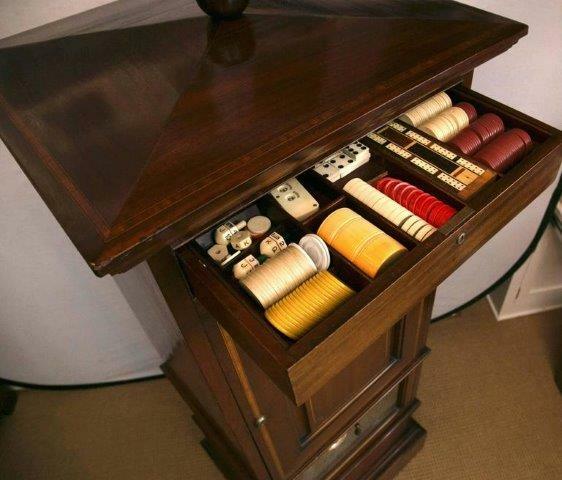 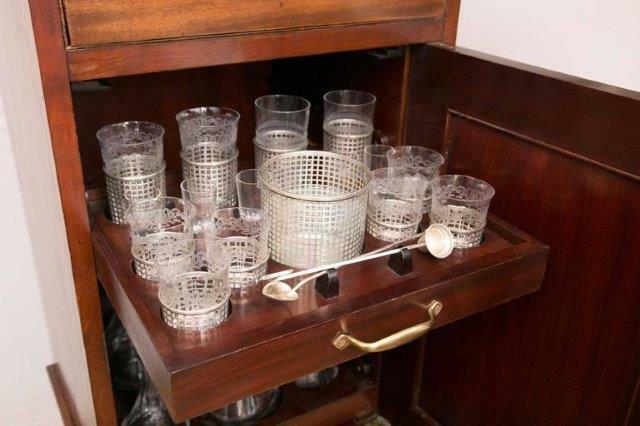 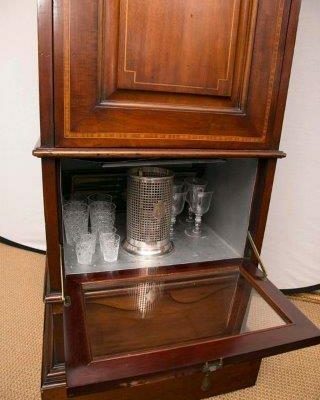 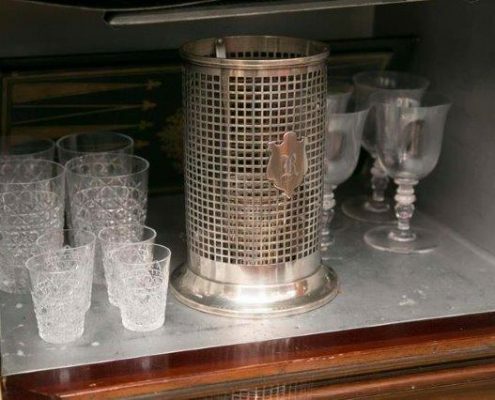 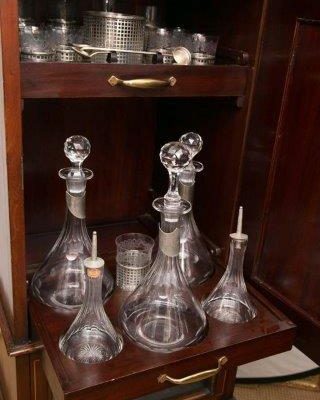 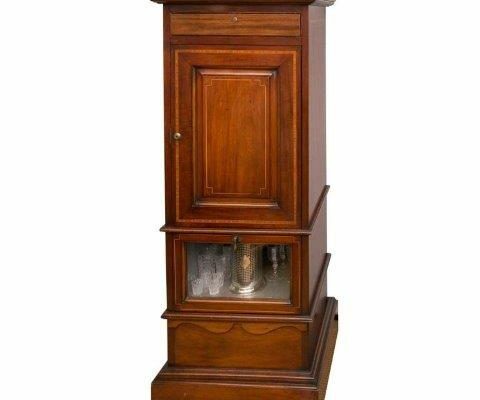 The top drawer holds a variety of vintage game pieces, the center door reveals two pull out shelves, including decanters, glasses and barware and sterling silver. 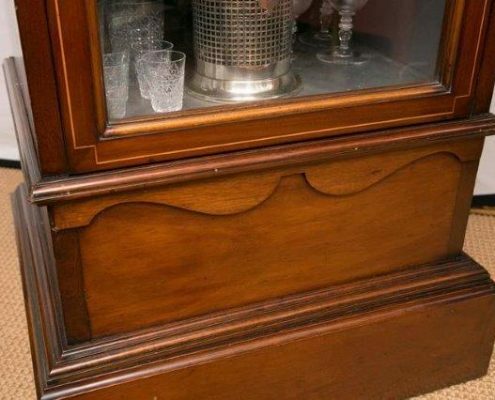 The lower glass door opens to a humidor. 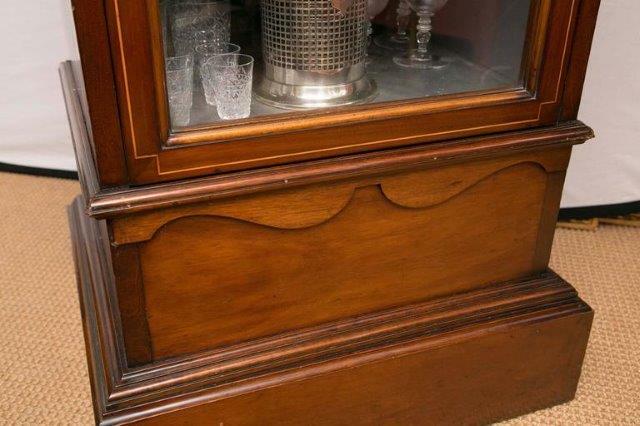 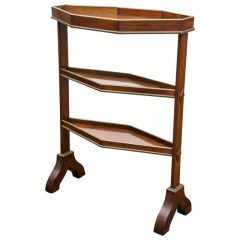 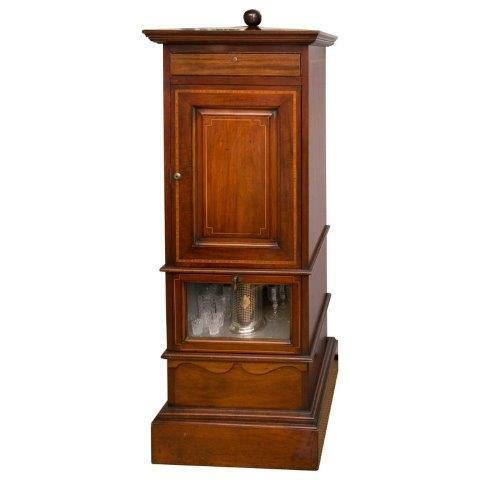 All of solid mahogany with inlay throughout.